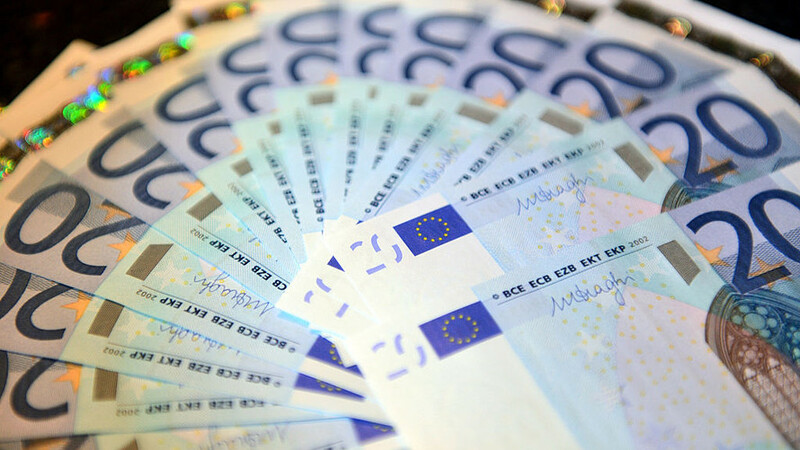 The euro extended losses in Asian trade Tuesday as political uncertainty in Italy stoked fresh fears about the eurozone. Italy, one of the European Union’s biggest economies, has been plunged into crisis after President Sergio Mattarella at the weekend vetoed the new government’s nomination of a fierce eurosceptic as economy minister. The move led the country’s prime minister-elect to step down, meaning the collapse of a bid by the populist Five Star Movement and the far-right League to form a government. Mattarella then named Carlo Cottarelli, a pro-austerity economist formerly with the International Monetary Fund, to lead a technocrat government, with another election likely in the autumn. The chaotic developments have spooked investors, who fear another election could see a better result for the essentially anti-EU parties. And Alessio de Longis, a New York-based portfolio manager at Oppenheimer Funds, told Bloomberg Television: “These developments are concerning. The markets will be really unable to move forward into a different narrative” until the Italian outlook is clearer. Yields on Italy’s key 10-year bonds surged to 235 points above those of benchmark German bunds, its highest level in more than four years, in a sign of falling confidence among investors. Stock markets in Milan, Paris and Frankfurt tumbled, while the euro sank against the dollar as the eurozone faced its biggest upheaval since the Greek debt crisis. In Asian trade the single currency continued to suffer, and was in danger of falling below the $1.16 level last breached in early November. Adding to selling pressure on the unit is a brewing crisis in Spain, where Prime Minister Mariano Rajoy faces a no-confidence vote after his party was found guilty of benefiting from illegal funds in a massive graft trial. “We may now be in for an extended period of heightened uncertainty ahead of fresh elections” in Italy, Ray Attrill, head of foreign exchange strategy at National Australia Bank in Sydney, said in a note. Asian markets were mostly lower, with traders keeping an eye on oil prices, which have tanked since Saudi Arabia and Russia indicated they could raise output after abiding by a self-imposed cap for two years. While Brent was slightly higher Tuesday, WTI lost a further 1.6 percent, extending a slump since the Saudi-Russia comments. The comments come as supply worries increase, with major producer Venezuela hit by economic uncertainty, Iran facing painful export sanctions and demand seen picking up. Tokyo ended 0.6 percent lower, while Hong Kong slipped one percent and Shanghai closed down 0.5 percent. Seoul dropped 0.9 percent while Wellington, Taipei and Manila were also off. However, Sydney added 0.2 percent. Attention is turning to the release Friday of US jobs data, which will be scoured for clues about the Federal Reserve’s interest rate plans ahead of next month’s policy meeting. “While a 25 basis points hike is largely a done deal, the next focus is on whether the (policy board) will start to indicate the peak of policy rates as policy approaches neutral,” Tai Hui, JP Morgan Asset Management chief strategist for Asia-Pacific, said. In early European trade London fell 0.7 percent as dealers returned from a long holiday weekend, while Milan sank more than two percent, Paris slipped 0.7 percent and Frankfurt lost 0.6 percent.